Who are we? What do we want? To whom is the petition addressed? What are our future prospects? I will try to answer to these questions in the most synthetic way as possible. The idea of a petition against the DSM’s unique way of thinking was born into a small group that spread quickly. From the beginning, this initiative involved two inseparable aspects: first of all the political aspect and secondly the nosographic work in order to avoid getting locked into a purely petitioner, protester motion. It seems hard to fight the single thought of the DSM that rules global psychiatry without proposing at the same time an alternative to the DSM. So we proceeded to write the petition with the idea to hand it around and to integrate progressively the remarks of each other without affecting the consistency of all, and we ended up with a position that has avoided to appear as anti-scientific, anti-classification or anti-medication, and that does not take account of psychoanalysis “exclusively”. This project sets one to work, and it is already a success. At first, the idea of rejecting DSM’s single thought was largely accepted, although there were some reluctant colleagues who still think it is too late, that the dice are thrown, or who no longer believe in collective action, they have had enough with petitions and contestatory demonstrations: “Let us focus on field actions, much more effective. Why focusing on the DSM? The DSM is in tune with the times that we live in, not psychoanalysis.” These critiques did not discouraged me, I partly explain it as a symptom that many of us, psychiatry practitioners, have a hard time to mourn the days of the honeymoon between psychoanalysis and psychiatry, in the words of Alain Vanier, which would explain the attitude of self-censorship and especially the secluding act of those who find shelter in the “pure gold of psychoanalysis”. Among the comments addressed to the petition there is one that recurs often: is it really appropriate to evoke the non-scientific nature of the DSM method, when you know that no psychiatric classification can achieve the purported scientificity? Why opening the Pandora’s Box of scientificity? In fact, beyond the denials of its promoters, the DSM gives itself a scientific respectability; the appearance of scientificity hiding behind its alleged inter-judges fidelity and its operational criteriology must be unmasked. Moreover, governments or international organizations are very sensitive to what is scientifically validated, or shown as such, hence the political interest to report the fraud of the DSM. It is legitimate to focus on the DSM, because it is a many-headed hydra: epidemiologic, diagnostic, teaching, research, pharmaceutical, medical and economic, as pointed out by Claude Léger. As such, it provides support for numerous discussions on the implementation of mental health policies that are harmful, it also operates as a vector of scientistic or reductionist ideologies in the field of psychiatry, not to mention that the DSM has helped largely to the elimination of Freudian contributions in the field. And our action does not exclude other initiatives. Thanks to Dominique Billot Mongin, an APF analyst, and Pelissier Yan, a Lacanian School analyst, I had access to U.S. websites and forums, and I realized that in the United States the debate on the DSM V in preparation enrages the discussions. Some people call for a movement of public opinion against the abuses taking place with the generalized psychiatrization of behavior and affections, against the changes on diagnostic criteria in order to enlarge the number of medication users, against the confusion between prediction and prevention, etc. Other people think that the DSM will suffer an implosion because of its diagnoses number inflation, because of its Babelian ambition of establishing a unique universal psychiatric language; they also think that a new era is coming, which would set the end of expert systems, and a new clinical approach will come along with it, a purely neuroscientific clinical practice, a MRI clinical practice; as Bernard Golse would say: Kanner’s autism will become scanner’s autism, the opening of a scientistic fundamentalism boulevard by the confusion between correlation and causality. I find there a supplementary reason to accept the challenge and put ourselves in the best interest of younger generations. Some people also evoke the corruption and the opacity prevailing on the choice and on the independence of its experts; is the small end of the telescope, however this matters to public opinion, especially in the United States, but not only if we mention the Mediator Servier affair in France (where hundreds of people passed away of a medicine whose side effects were suspected since its commercial launch). Once the petition was set in a collectively accepted version (in French), it was translated into English, Spanish and other languages; we promulgate it as much as possible in Europe. The German version was prepared by André Michels, who diffused it at a clinicians meeting in Berlin in March 2011; it is also diffused in North America and South America, but also in China and the Middle East, within our capabilities. In France, we have to broaden its audience and to contact as many physicians, psychopathology professors, labor unions, professional and psychoanalytic associations as possible. A first website was created in May 2011: www.initiative arago.org, where thousands of people signed the petition. 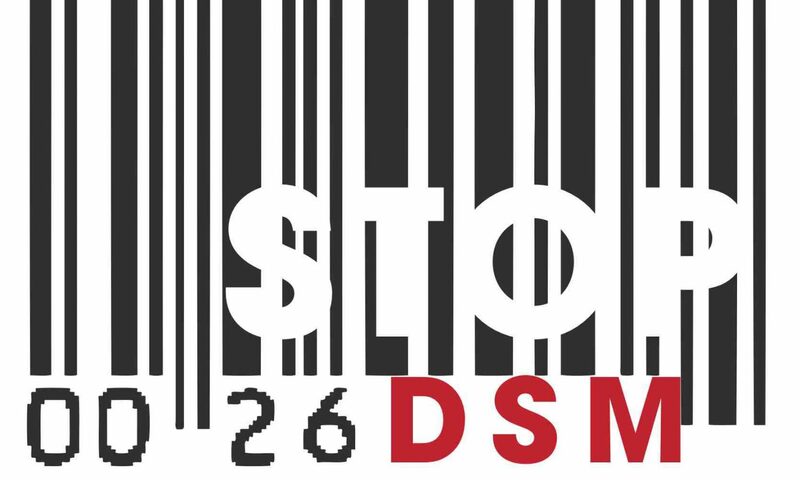 The second website, more complete, www.stop-dsm.org, was released in June 2012. An internet forum about the petition and about the DSM-V preparation will allow an open discussion. So what are the prospects? There is a fracture in the transmission and psychoanalysis’ future depends also on its relationship with psychiatry. I invite all clinicians, psychoanalysts, to re-invest massively psychiatric nosography. There are at least three initiatives that account for it. Are welcome all kind of actions such as conferences, journals, symposia and conferences on classifications, epistemology in psychiatry, psychoanalysis-psychiatry relationship, subject’s clinical practice, nosography, etc. we must take seize the movement that starts in a positive synergy. For my part I have the intention to promote the creation of an operational group, not an American-style task force, but on a small scale in order to be more efficient and to obtain concrete results, which will have to deal with the development of an alternative classification after taking both ethical and epistemological precautions. For instance, we will have to attend to psychiatric clinical practice under transfer and psychotropic drugs, to turn our attention to addictions’ new symptomatology, to take care of finding the most appropriate classification criteria, etc. The objections that may arise are numerous: analysts have divergent theories, have a tendency to reify speculative ideas, sources of controversy; they speak different languages, so runs the risk of accomplishing nothing or even worse to reach a consensus without relief thus pointless, ultimately to create a nebula. This is psychiatry! Then let us, those who want, get to work, and we will see what is imaginary and what is real. All these arguments do not discourage me, as I rely on the combination of both desire and political determination. Therefore, neither honeymoon nor Jurassic Park, a work offer. The idea of an alternative to the single thought of DSM emerged from several people: T. Garcia-Fons, D. Tourrès Gobert, G. Dana, G. Pommier, A. Vanier, T. Jean, P. Landman, C. Hoffmann, J.-R. Freymann and M. Patris. With this group and following the general states of psychiatry of 2003, a first meeting took place on October 9, 2010 in Paris. Were invited and gave a positive response or came: D. Widlöcher, M. Aisenstein, J.-A. Miller who asked F. Leguil to attend; he also participated in the writing of the petition. J.-D. Nasio delegó a L. Zolty. J.-J. Tyszler delegated N. Dissez. C. Melman, C. Landman, M. Czermak, C. Soler, F. Gorog and C. Dumézil also stated their interest. P. Guyomard delegated J.-F. Solal, also integrating the drafting group. Also participated A. Besse y M. Botbol, with union responsibilities, who work in developing an international classification focused on person’s psychiatry: the PID. Came to the meetings or were interested: M. Strauss, C. Léger, B. Toboul, A. Deniau, D. Couturier, Y. Cann, Y. Manella, L. Levaguerese, A. Benisty, R. Rechtman, D. Lauru, B. Billot Mongin. R. Lemoigne, J.-J. Moscovitz, E. Winter, O. Douville, G. Archambault, A. Coen, J. Sedat. J.-C. Aguerre, M. David, N. Gougoulis, F. Krammerer participated in the writing of the petition. On October 9, after a debate about classifications, it was decided to be constituted a smaller group to draft a petition project which first writing was entrusted to G. Pommier. This group met several times and exchanged the petition’s project in order to lead to remarks and criticisms. A second meeting was scheduled for February 1, 2011, also in Paris. At this second meeting, all participants of the October 9 were invited, as well as J.-M. Porte, F. Votadoro, who delegated P. Michon Raffaitin, D. Marcelli, P. Gutton, A. Braconnier, D. Zaoui, B. Defrenet, G. Balzaguette, J. Garrabé, F. Drossart, J.-M. Hervieu, R. Samacher, M. Corcos, R. Chemama, C. Meut, Y.-C. Stavy, A. Vaissermann, D. Wintrebert, F. Blanadet, M.-R. Moro, P. Bellot, M. David Menard, J. Siboni, Y. Pelissier, A. Van Effenterre, J. Jungman, C.-N. Pickmann, H. Guilyardi, H. Bentata, A. Vodovosoff, C. Delarue, G. Fishman, B. Bremond, D. Levy, M. Moreau-Ricaud, H. Oppenheim-Gluckman, M. Robert, G. Sapriel, J.-P. Drapier, R. Horowitz, E. Jalley, P. Bantman as well as A. Michels, M. Reccalcati, L. Bailly, J. Birman, residing abroad. Patrick Landman, psychiatrist, psychoanalyst, jurist, Espace analytique’s former president.